S 6 and S 2 are the most popular models of our category for everyday private and professional use. Size is small and ideal for extra heat in private homes and offices when 3-phase connection is available. S 6 also points the air flow very effectively to wanted direction and towards chosen objects. 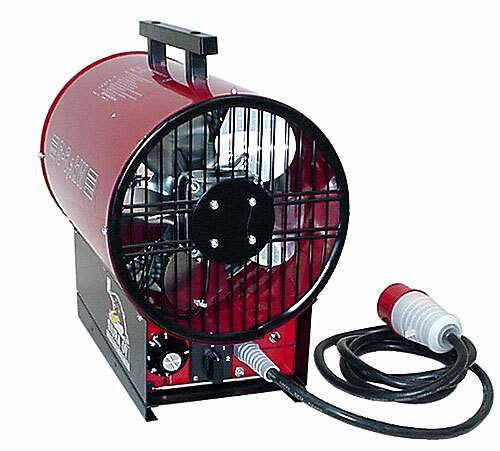 - for melting and heating frozen and cold objects. 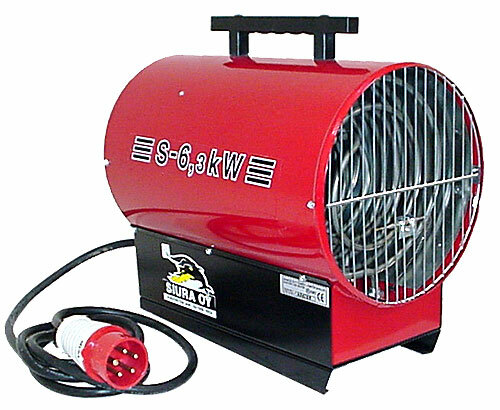 In big and cold buildings the heater can be directed straight to the target where work or repairing is placed. Stainless steel heat elements and strong metal construction are well seen in the picture. Thermostat controller on the left. Power control switch next to thermostat controller.